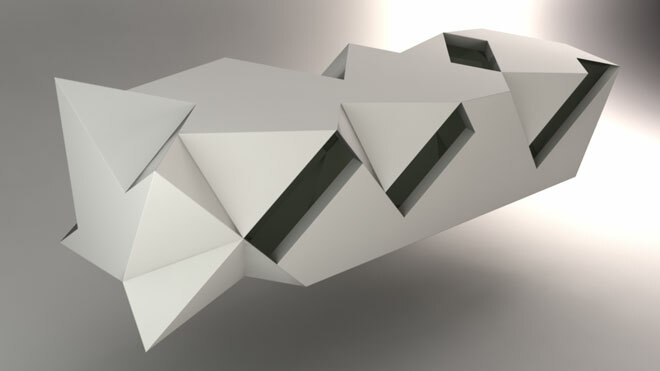 If you stretch, twist and deform 3D objects you can easily get folded structures. The result depends mainly on the basic topology of your 3D object. The pattern and structure of your tessellation has a big impact on your result. The result of this method is mainly based on triangulated surfaces and not easy to control for further adjustments. But it is a fast and efficient way for your first conceptual design.